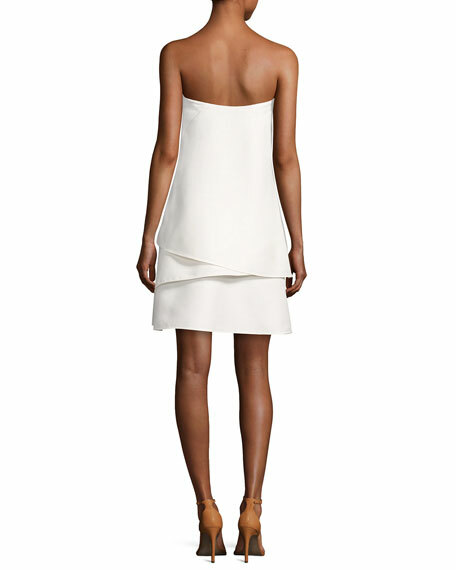 Halston Heritage cocktail dress in a tiered structured silhouette. Approx. 36.1"L down center back. For in-store inquiries, use sku #2277891.